At Wildlife Hub we work with Commercial Partners (Aquaponic, and Insects for Human Consumption and others) to breed insects with less food, heat and water than conventional methods. Eating insects was once seen as a weird fad… and for some it still is. However with the worlds food resources rapidly running out and the human population growing exponentially, the Insect for Human Consumption industry is growing rapidly. Its gone from weird fad to an essential food source for millions of people. 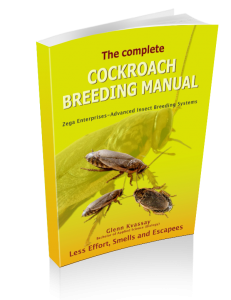 Our Insect training resources (books, videos, consultancy) have been described as the driving force for the human consumption industry. They are used around the world by the largest and smallest insect breeding businesses to develop their their business or to improve their efficiency. Our aim to to have a sustainable heat and food source for breeding insects or other food sources. 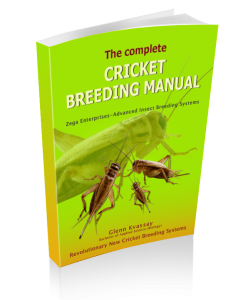 Click here to learn how to Breed Insects with Low Maintenance Methods. reduce operating costs such as heating, power, food and pumping costs. We are excited by our work to have a sustainable food source for aquaponics which includes: insects, mosquito fish, duckweed and algae cultures. We produce desktop aquaponic features which are low maintenance (no water changes) for sale, or as a educational tool for schools and day care centers to teach sustainability and nature principles…..just love them. 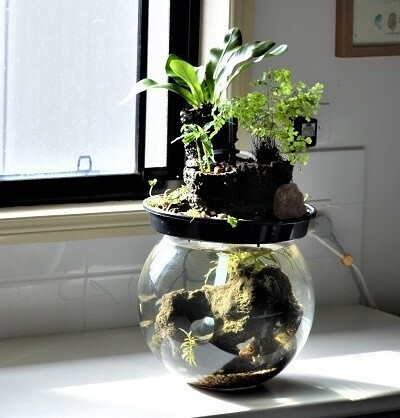 Aquaponic Fern Features-Low maintenance desktop aquaponic features which are an aquarium and fern or herb garden (As shown in photo-Sold in Australia only). For more details on how they work Click here. We are passionate about sustainability and are working with teachers to give them practical activities which show our kids how to live more sustain ably. Bucket Worm Farms– These systems are below ground and require less maintenance and are more reliable than above ground worm farms. We will do DIY videos or they can be purchased. Cricket Farms- DIY vidoes or kits which can be purchased to breed insects easily in the class room. Sustainability Activities for Kids- We are currently working with one of our Aquaponic partners (Flowgardens.com.au) to develop a school holidays program which with a environmental and sustainability focus. Resources for School Curriculum- Other educational information and activities that meet specific criteria for agricultural and sustainability curriculum for schools and daycare centers. Please contact me at info@wildlifehub.com to be added to a contact list for these services.